It’s June, so I went through my social media feeds and grabbed all of the MicroStories I’d tweeted during the month of May. This little rabbit is micro, and he has a story of avoiding a lawn mower. Usually, I only tweet Science Fiction and Fantasy #MicroStories. May was pretty much no exception. Princes competed on who could build and maintain the most extravagant and difficult to reach palace. They’d bribed the guards on the evening shift, as well as the relevant castle staff. But not the court jester. It’s unclear who was behind the prince ordering the relocation of relics to the stronghold, but the ghouls certainly benefited. The robots insisted we pause & pray before entering derelict vessels to salvage. That hadn’t always been part of their protocol. First Conflict derelict ships were safer to salvage; Second Conflict wrecks almost always had still-active robotic crew. The haunted forest was an odd place. There were no visible trees. No trunks or branches. Just a large canopy of hovering leaves. The creature who maintains the traps & manages the “ecology” of a given dungeon is the smartest ghoul on hand. If a world couldn’t be colonized w/ 3 waves, it was written off. Biggest danger to 3rd wave? Warfare between 1st & 2nd waves. Old news reports from Sol were increasingly scary. The colonials began to estimate when supply ships from home became warships. Marvus was happy w/ the tenure, less so with inheriting Corvin’s old office. Forgotten & half-cast spells in every dusty corner. My last collection of microstories happened back in January, since I was still writing flash fiction tweets in December. At the start of the new year, I opted to take a break for a bit. Yes, it’s silly to take a hiatus from writing tweets that hint at bigger stories, but that’s exactly what I did. I’ll try to get back into the groove. May was a relatively fruitful and personally-satisfying return. Thank you to everyone who reads and enjoys my small stories. I tweet flash-fiction at irregular intervals on my Twitter account, @patman23. At more regular intervals on Twitter, I’ll be talking about my dogs, or television (mostly Game of Thrones), or mowing my lawn. 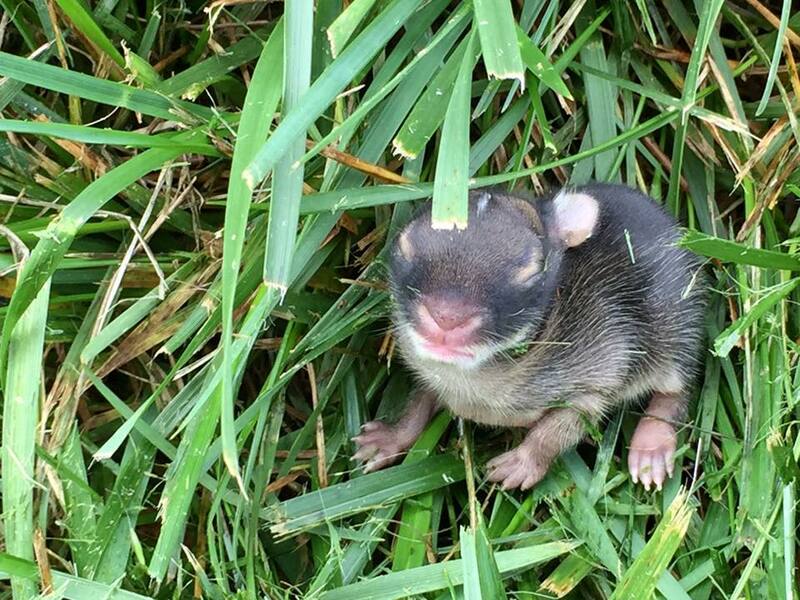 Header image was taken by my wife, of a little bunny rabbit I discovered in the backyard when I was mowing. See! I can have interesting things to say about mowing my lawn. I’m glad you liked that one! And thank you for letting me know you missed my microstories, I’ll try to be more timely and consistent with them.